Catherine and Mark rent a home on Sicily to get away from problems in NYC. Catherine, an artist and art instructor was questioning her ability to teach after a disastrous situation with a student and Mark, an architect, was looking for ways to help landowners on Sicily make better use of their land for the tourist trade. They also both needed to get away and work on their marriage. After Catherine sets up the barn for her art studio, she begins to see a young boy that no one else seems to be able to see. She becomes very intrigued with the small boy which creates even more problems in her marriage. Lydia Fazio Theys gives a wonderful description of Sicily, the land, the museums and even the salt flats (which I found very interesting). As Catherine becomes more enraptured with Sicily and it's people, Mark starts trying to get her to move back to NYC where he can have 100% of her attention. This is an area where there is a strong belief in all things supernatural and this is brought into the story in an interesting manner. The longer that Catherine and Mark stay in Sicily, the more Catherine wants to stay and the more Mark wants to leave. 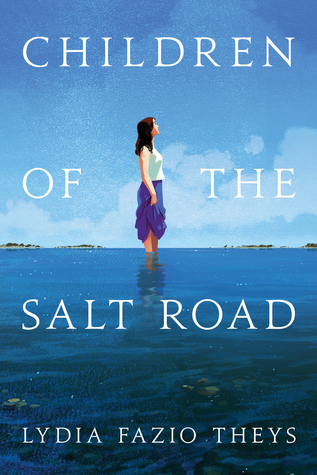 Children of the Salt Road is an interesting story about a beautiful part of the world and a marriage that is struggling to survive. I highly recommend it. Lydia Fazio Theys writes all the time—technical and marketing writing for a living, fiction because she wants to, and letters of complaint because someone has to. Trained as a scientist, she crossed over to the wordy side pretty early on and has since happily remained. Her creative writing encompasses screenplays, short stories, flash fiction, humor, and narrative nonfiction. Her work has appeared in a variety of online and print publications, been read on public radio, and been used as inspiration by a professional dance theater. Theys currently lives in Woodbridge, Connecticut, where she is at work on her next novel.